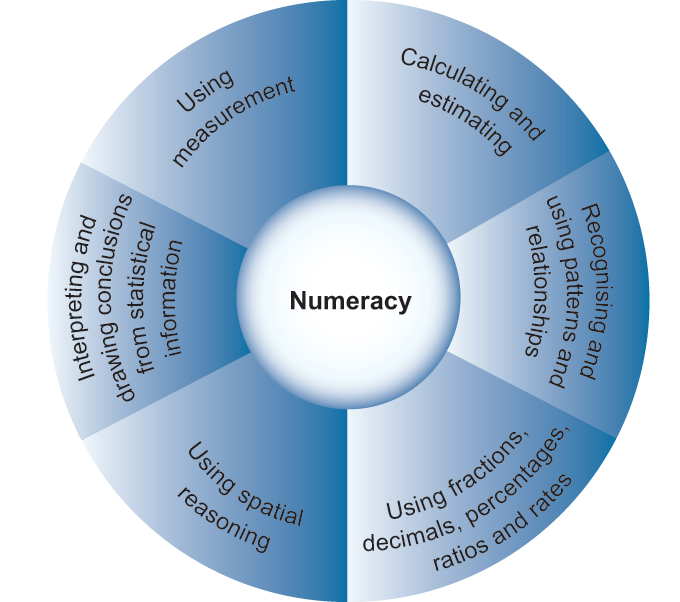 Numeracy Strategy 2014-2015 following meeting of the Numeracy Committee 2-10-2014 and presented to the staff 7-10-2014. In 2011, the Minister for Education and Skills, Ruairí Quinn, published Literacy and Numeracy for Learning and Life: The National Strategy to Improve Literacy and Numeracy among Children and Young People 2011- 2020. The strategy sets targets for improving literacy and numeracy standards to be achieved by the year 2020. The promotion of an integrated, whole-school approach to literacy and numeracy is critical at post-primary level. The Strategy provides that “Literacy and numeracy activity can become contextualised, meaningful and purposeful to the learner through many subjects and areas of learning.” In that context, strengthening skills in this area is a task for all teachers, not just teachers of language or mathematics. Cognisant of the recent circular on mathematics (0058/2011, p. 2-3) which asked schools to make every effort to ensure that students have access to a mathematics lesson every day, and that mathematics be strengthened in Transition Year, in May 2014 the staff discussed and reached agreement on changes to the timetable that would facilitate all students having 5 periods allocated for maths class each week with the exception of 6th year students who would receive 6 periods. Linked below is a 33 page document filled with ideas from a number of pilot schools in this area. When returning students’ work give the mark as a fraction and ask them to convert it to a percentage. Students asked to record where numeracy occurs in each subject over a period of a week/month. Maths board where notices, puzzles and cartoons can be posted. A number-line in every classroom. Maths notice-board in the staffroom where sequence of topics to be covered /numeracy keywords of the week/month etc. are posted. A clock should be in every classroom. Stickers giving measurement of doors/windows/classroom in each room. Bring in speakers to talk about how they use maths in their work.